Particularly for Tazchristi, but please - I welcome any one to respond. Does Spyderco pursue the perps now? I've been out of circulation for awhile, but, it appears to me (IMHO) that this is still a problem more of rip offs of spydieholes, blade shapes, poor efforts at locking mechs, etc. As opposed to "professional" attempts at fooling people passing POS as real spydies. IE Stamping of "Seki Japan", "Spyderco", metal designations, etc. (patented stuff, but still not a serious attempt at counterfeiting. Just proprietary theft. Which is just as bad. And yes, I see that some novice could be fooled. Which IS a bad thing. I ask myself, whether that buyer who is attracted to a $6.00 look a like would spend the money for the real deal, anyway. IF there would come a time where he/she becomes enthusiastic enough to get the real thing, I believe he'll take time to research probably coming here. Have there been any POS fakes sent in to SFO requesting warranty replacement or repair? 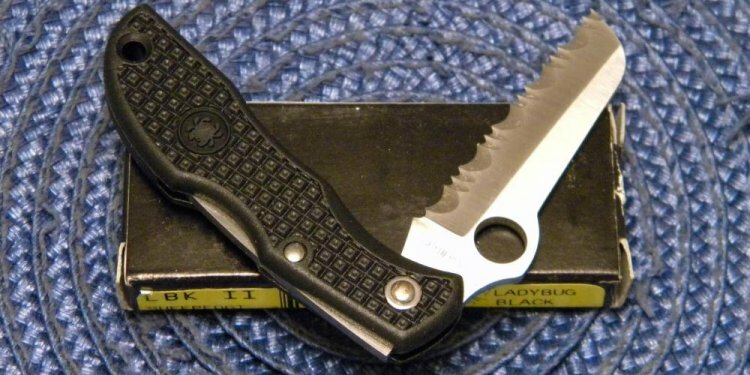 Or even any lawsuits against Spyderco for a Fakes' failure of performance or safety? Sal had a very laid back philosophy regarding this matter (or it seemed to me anyway) years ago. Has that changed? Spyderco / Mr Glesser gives credit / royalties to Ernie Emerson and Mr Boye, etc. He and his company have integrity, and honor. Just my observations. Not arguing for or against anything. I can't remember an iota of what I used to know about Spydies. I came back to re learn and find out abut the stuff I missed.